January 22, 2018 was a historic day for Liberia. On that day, George Manneh Weah was inaugurated as Liberia’s 25th president, the country’s first democratically elected indigenous president since the creation of the republic, 170 years ago! Yes sure, Africa’s oldest republic has had presidents of tribal descent before. 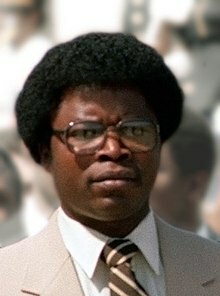 In 1986, former master-sergeant and leader of the military People’s Redemption Council (PRC), Samuel Doe, was inaugurated as Liberia’s 21st president. Samuel Doe had seized power in the bloody 1980 coup that we all know from history books – some of us are old enough to remember it happening –, he thus became Liberia’s first head of state of tribal origin (Krahn). In 1985, he organized presidential elections in an attempt to legitimize his position. He won the elections by rigging, defeating Jackson Doe (not related) of the Liberian Action Party. For that reason – cheating – Samuel Doe cannot be considered a democratically elected indigenous president. 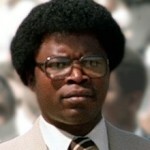 Liberia’s second president of tribal descent was Moses Blah (Gio). 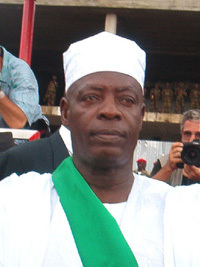 He was Charles Taylor’s Vice President who took over after the latter’s forced exile (2003). Blah has been described as a Taylor-made successor. He only ruled for two months. Also in his case we cannot say that he was a democratically elected indigenous president. Blah was replaced by Charles Gyude Bryant (Grebo), who was not democratically elected, but put in place by Liberians who were ‘representatives of warring factions, political parties and civil society’ during peace talks in Ghana. 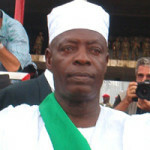 Bryant’s official title was leader of the National Transitional Government of Liberia (NTGL), he was not president of Liberia. His successor was Ellen Johnson Sirleaf (2006-2018), the country’s 24th president. Although her grandfather was a Gola chief, she does not qualify as an indigenous president, given her mixed background. See the article ‘Ellen Johnson Sirleaf, her tribal roots and Americo-Liberian background’. Hence, it is clear, George Manneh Weah can rightfully claim to be ‘Liberia’s first democratically elected indigenous president’ . 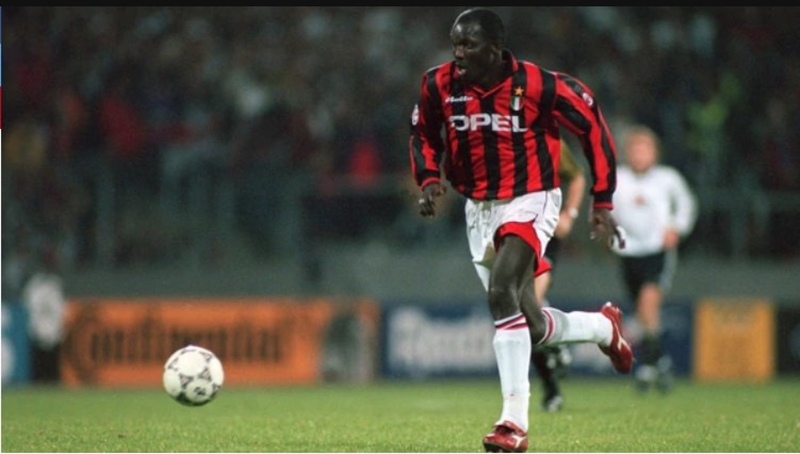 We can also look at Weah’s historic achievement from another angle. Liberia was created in 1847 by free-born blacks and former slaves from the United States who settled on the west coast of Africa, aided by a private American organization, the American Colonization Society (ACS). The country’s first ten presidents were African-American presidents, born in the US – although legally, strictly speaking, they were not considered American citizens. Thereafter comes a group of Americo-Liberian presidents. They were born in Liberia. Their ancestors had come to Liberia as colonists. 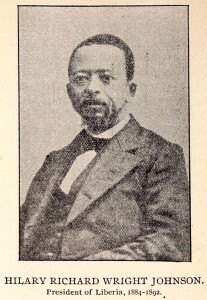 The first Americo-Liberian president was Hilary Richard Wright Johnson (1884-1892), Liberia’s first president born in Africa/Liberia though from American parents. As from 1912 all presidents were born in Liberia and ‘Americo-Liberian’, as they preferred to refer to themselves, at least until 1980. And now we have the first indigenous president – Weah (Kru) – democratically elected, 170 years after the creation of Liberia in 1847. 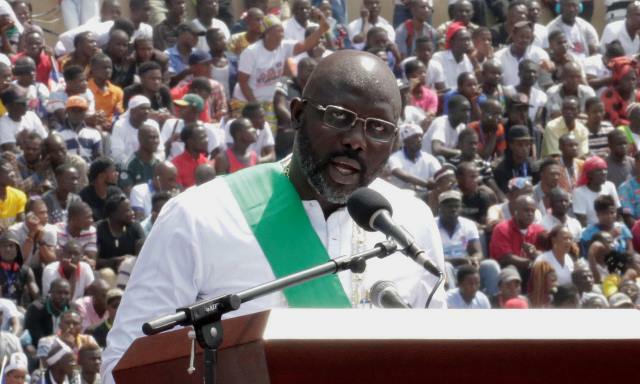 Will George Weah’s presidency be symbolic? Will he be the first of a large number of democratically elected indigenous Liberian presidents? Will his inauguration mark a further step in the decolonization of Africa’s oldest republic, first ruled by African-Americans, colored people, free-born blacks, former slaves from the US, then by Americo-Liberians, descendants of the American colonists, and now– from now on? – by African-Liberians? Whatever the answer may be to these questions, it is clear from the foregoing that the importance of George Weah’s election extends beyond the victory of a former international soccer star who has become president of a country, I almost forgot to mention the other historic achievement. This entry was posted in 1847, 1980, 1980 coup, 2017 presidential elections, 2018, 24th Liberian President, 25th Liberian president, Accra Comprehensive Peace Accord, ACS, African-American presidents, African-Americans, Afro-Americans, American Colonization Society, Americo-Liberian presidents, Americo-Liberians, April 12 1980, Charles Gyude Bryant, Charles Taylor, civil society organizations, Civil War(s) Liberia, Comprehensive Peace Agreement CPA 2003, decolonization, democratically elected indigenous president, elections, elections fraud, Ellen Johnson Sirleaf, freed slaves, George Manneh Weah, George Weah, Gio, Gola, Grebo, indigenous presidents of Liberia, international soccer star, Jackson F. Doe, Krahn, Kru, Liberia, Liberia Colony, Liberian Action Party, Liberian History, military coup, Moses Blah, People's Redemption Council, PRC, President Hilary Richard Wright Johnson, Samuel Kanyon Doe, vote rigging. Bookmark the permalink.